The book of 3 Maccabees is found in most Orthodox Bibles as a part of the Anagignoskomena, while Protestants and Roman Catholics consider it non-canonical, except the Moravian Brethren who included it in the Apocrypha of the Czech Kralicka Bible. It is also included in the Armenian Bible. The book actually has nothing to do with the Maccabees or their revolt against the Seleucid Empire, as described in 1 Maccabees and 2 Maccabees. Instead it tells the story of persecution of the Jews under Ptolemy IV Philopator (222–205 BC), some decades before the Maccabee uprising. The name of the book apparently comes from the similarities between this book and the stories of the martyrdom of Eleazar and the Maccabeean youths in 2 Maccabees; the High Priest Shimon is also mentioned. The contents of the book have a legendary character, which scholars have not been able to tie to proven historical events, and it has all the appearances of a romance. According to the book, after Ptolemy's defeat of Antiochus III in 217 BC at the battle of Raphia, he visited Jerusalem and the Second Temple. However, he was miraculously prevented from entering the building. This led him to hate the Jews and upon his return to Alexandria, he rounded up the Jewish community there to put them to death in his hippodrome. However, Egyptian law required that the names of all those put to death be written down, and all the paper in Egypt was exhausted in attempting to do this, so that the Jews were able to escape. Ptolemy then attempted to have the Jews killed by crushing by elephant; however, due to various interventions by God, the Jews escaped this fate, despite the fact that the 500 elephants had been specially intoxicated to enrage them. Finally, the king was converted and bestowed favor upon the Jews, with this date being set as a Festival of Deliverance. Critics agree that the author of this book was an Alexandrian Jew who wrote in Greek. In style, the author is prone to rhetorical constructs and a somewhat bombastic style, and the themes of the book are very similar to those of the Epistle of Aristeas. The work begins somewhat abruptly, leading many to think that it is actually a fragment of a (now-lost) longer work. 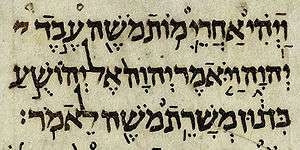 Although some parts of the story, such as the names of the Jews taking up all the paper in Egypt, are clearly fictional, parts of the story cannot be definitively proven or disproven and many scholars are only willing to accept the first section (which tells of the actions of Ptolemy Philopator) as possibly having a historical basis. Josephus notes that many (but certainly not all) Jews were put to death in Alexandria under the reign of Ptolemy VIII Physcon (146–117 BC) due to their support for Cleopatra II, and this execution was indeed carried out by intoxicated elephants. This may be the historical center of the relation in 3 Maccabees and the author has transferred it to an earlier time period and added an ahistorical connection to Jerusalem if this theory is correct. Another theory about the historical basis of the book was advanced by Adolf Büchler in 1899. He held that the book describes the persecution of the Jews in the Fayum region of Egypt. It is certain that the Jews abruptly changed allegiance from Egypt to Syria in 200 BC. This author presumes that the change must have been due to persecution in Egypt. The book was written at some point after 2 Maccabees, since that book is cited in the text. This sets the date of composition to the end of the 1st century BC and its use in the Orthodox Church also might suggest its composition being before the 1st century AD. It may be a product of very late Judaism or very early Christianity. One theory, advanced by Ewald and Willrich, holds that the relation is a polemic against Caligula, thus dating from around AD 40, but this theory has been rejected by more recent authors, because Ptolemy in the book does not claim divine honors as Caligula did.